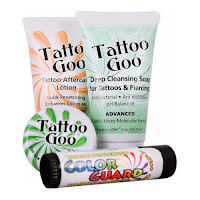 Get everything you need for tattooing..
Best Tattoo Parlours in U.S.A.
Tattoo aftercare plays an important role in the field of tattooing. Tattoo and tattooing are not just a passion or emotion of individual, but it turns into disaster if you ignore the importance of tattoo aftercare. 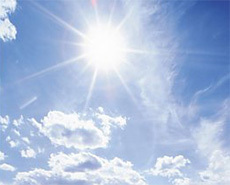 It is as much important as choosing a right tattoo suitable for your personality. After tattooing as per your expectation the role of a tattoo artist has been finished, now it’s your turn to prevent your tattoo from external infection or any other skin problem. It is very important to follow some guild lines which I have mention below, at least a week from tattooing. It has been found that due to certain excitement of new tattoo, many people remove that bandage which tattoo artist put just after tattooing, I concern you that never do this common mistake. 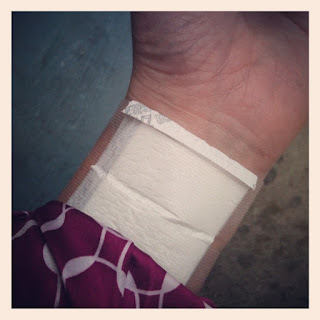 This bandage is for prevention from environment bacteria because a new-made tattoo is like unclosed flesh, and these bacteria attack fast on open wound. I recommend you to keep this bandage at least two hours. If your tattoo cover-up by saran wrap or some kind of plastic by your tattoo artist, then it is possible for you to remove it after an hour. After removal of bandage, you can wash tattoo to remove blood or ink spread around the tattoo, for this use mild warm water or any antibacterial liquid or antimicrobial soap. Do not use rough cloth to wash tattoo, instead of that you can use your fingers, but remind that it should be cleaned by any antibacterial soap. You can use some well-known products like Tattoo Goo or H2Ocean, but use a single product at one time as per directed until 3-5 days. 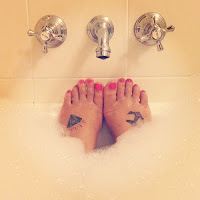 It’s completely OK that you can do bath with new tattoo and get your tattoo wet. Just do not use very hot water to wash tattoo area until 2-3 weeks. Yes, you can swim with new tattoo but keep in mind that only fresh water is allowed, do not swim in salty water at least two weeks. In the initial days after tattooing try to avoid direct contact with sun rays because ultraviolet rays affects the melanin of skin and results in fading of tattoo colors and cause skin infection as well.